So, I started back to work last week and can I just tell you how ECSTATIC I am about this new school year? So. Ready. My kiddos don't officially start until Wednesday though, and there are still a zillion things left to do today. 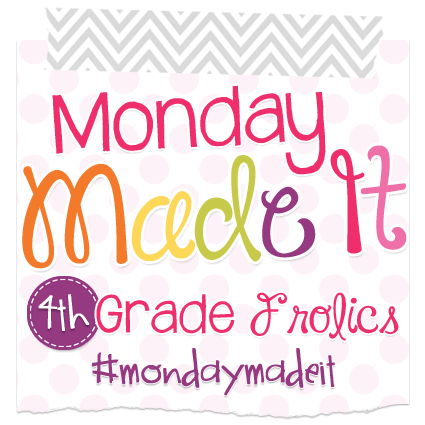 I am linking up with Tara at 4th Grade Frolics today to share with you one very small Monday Made It project. But, I am so happy with how it turned out. Last year, I found these adorable little notebooks at Walmart during the summer. 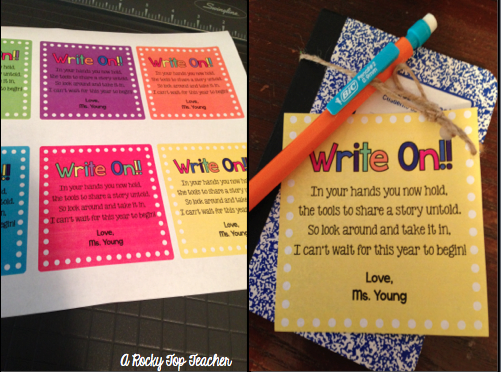 I grabbed them up along with some mechanical pencils and whipped together this cute little tag for my student "back to school" gifts. I liked it so much that I wanted to do it again this year, but I didn't want to use the same saying. Remember the Beatles song "I get by with a little help from my friends"? That couldn't be more true! This project happened thanks to some very special ladies on Instagram. 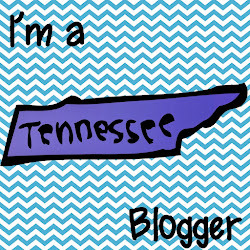 Megan from A New Box of Crayons wrote an adorable poem for me to use on my new, updated tags. It was seriously genius and SO creative! Don't you just love it?!? I found fun mini composition books at Walmart again and snagged up some retro pencils. 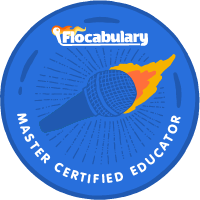 Now, they are all complete and ready to go home with my new class this week! LOVE them! The gift tag is free in my store. You can click here to grab them! 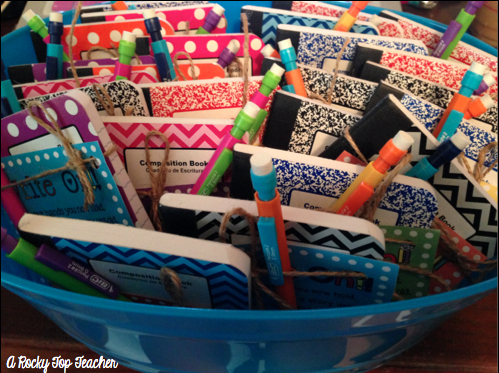 What type of back to school goodies do you put together for your kiddos? 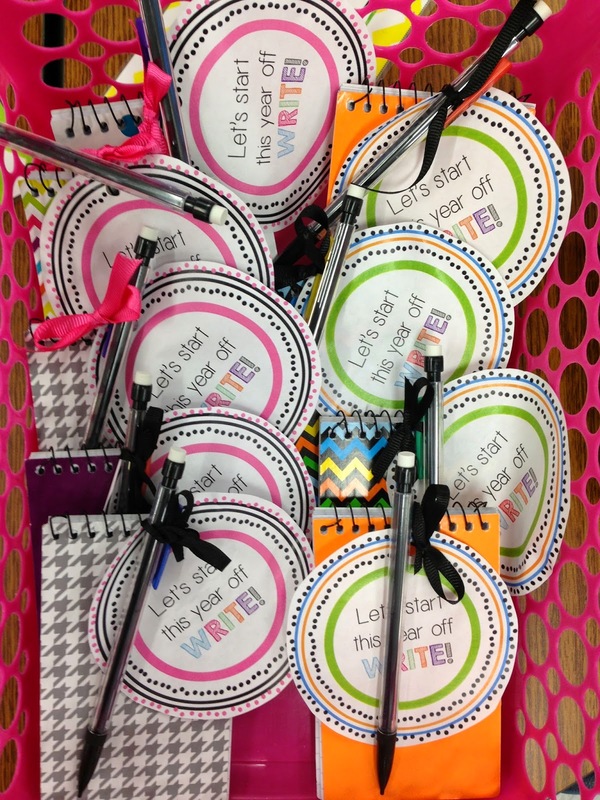 Cute, colorful goodies that I'm sure your students will love! I can't even remember what I gave last year but once I gave Froggy Goes to School books that I found for $1. And one year I gave bouncy balls with a not about bouncing in to the new year. 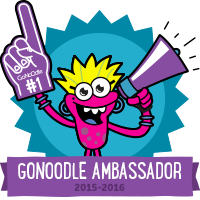 I guess I need to put "student goodies" on my To Do List! I love this! Thank you for sharing! Your students are going to be so happy. These turned out very cute, could you save one for me;) Have a great week! 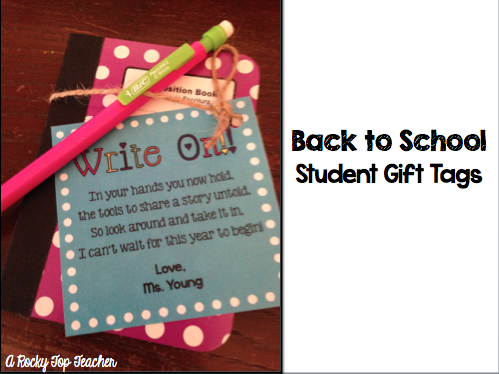 I love this idea...so cute and such a nice gift to have for the students on the first day! Do you still have these in your TPT store? I don't see them now.